Windows Live Essentials problems can be avoided by performing some basic checks and following the tips and steps outlined below will help you deal with any issues that arise. Windows Live Essentials is a software suite which bundles programs that comprise Microsoft’s most common communication and media tools. The goal is to provide desktop access and integration with the internet resource known as the ‘Cloud’. This allows for users to have access to documents and resources across a number of computers and locations. Some users report that when installing Windows Live Essentials it doesn’t complete the installation, or that updates being installed lock up the PC. 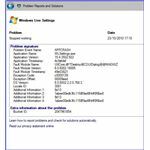 This has been linked to partial installation of the Windows Live Essentials suite where certain programs were installed but not others. The update then hits a fatal flaw and locks the PC. Some users were also installing beta versions of the suite that caused problems. 1. Verify that you have the latest build of the suite. If you are running XP, you will not be able to use Windows Live Essentials 2011, but you can install Windows Live Essentials 2009. 3. If you are running XP, make sure all the latest platform updates are installed. Some users report that system tray icons, and other graphic features are corrupted or missing altogether. Most of the time, you can restore them through the updating or reinstallation of device drivers, and recreation of the icons. Most other faults that were reported involved the media programs Photo Gallery, Mesh, and Movie Maker. Live Mail did have some settings to allow Yahoo mail functionality. 1. Search for updated graphics or display drivers and install them if needed. 2. If you are running IE 9 beta, this is not compatible with some versions of Windows Live Essentials. 3. If you are using AVG as your antivirus protection, some updates will not install while AVG is installed. You may have to uninstall and then reinstall or switch to another suite like Windows Security Essentials. 4. Other problems like changes in resolution of photos, or volume discrepancies in video that is being slowed or sped up are designed in the suite and there is not much that can be done. 5. Disable the Bing toolbar. For some reason, this toolbar slows down connectivity on most computers, and has been linked to some other issues. 6. Yahoo Mail Plus is needed to work with Yahoo and Windows Live Essentials. 0x8104000b: This usually signifies that no connection to the internet is detected. Sometimes this is caused by further updates that need to be installed. 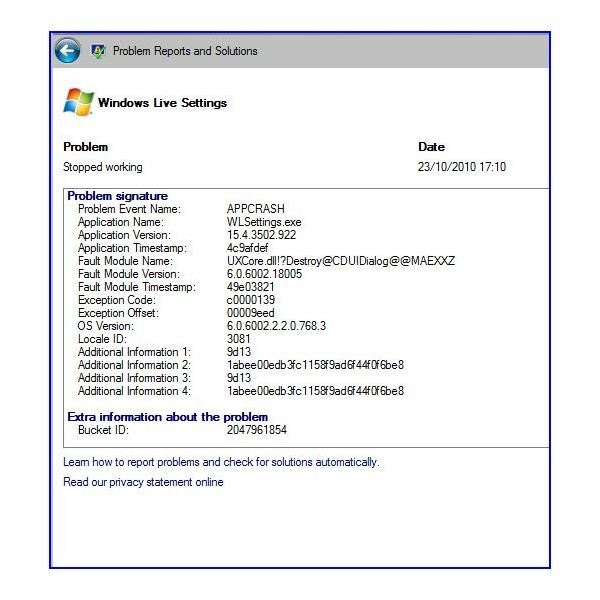 0x80040609: Users have reported this error code resolved when enabling system restore and Windows Firewall Service. You may also try Windows Installer Cleanup Utility. 0x800706BE: Most of the time this is caused either by a virus or a security program. Naturally, you will want to check out the former cause, but you may want to try and take the PC offline and run without the security program. Most Windows Live Essentials problems have been briefly examined, but you may find that you are not experiencing any issues. Most of the glitches that users experience are directly related to their configurations and the features used. If someone only uses their computer for internet and email, they may not have issues with the media programs and vice versa.